Justify returns to the Winner's Circle after winning the 2018 Preakness Stakes. HALLANDALE BEACH, Fla. (AP) -- Justify finished unbeaten, on and off the track. Less than four months of racing was enough to earn Justify the Eclipse Horse of the Year honors. Justify -- the third Horse of the Year trained by Baffert -- also won the 3-year-old male Eclipse, unanimously, which was no surprise. Accelerate settled for the Eclipse as the top older dirt male, and the third Horse of the Year finalist, Kentucky Oaks winner Monomoy Girl, was picked as the winner of the 3-year-old filly Eclipse. 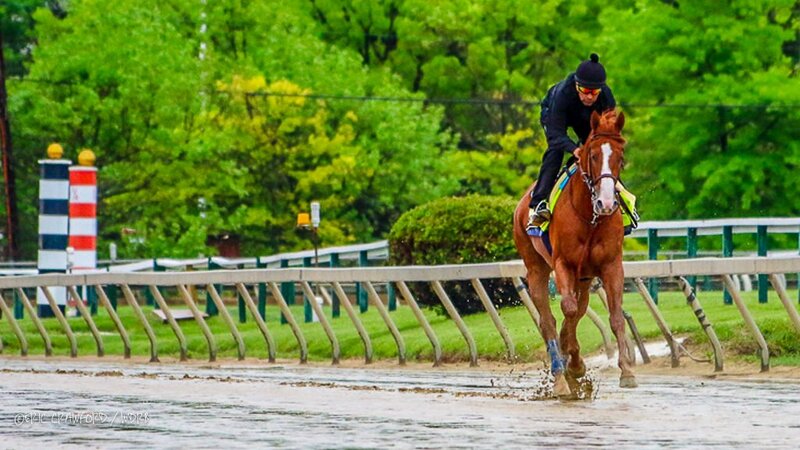 Justify trains over a wet Pimlico track the day before winning the Preakness Stakes. 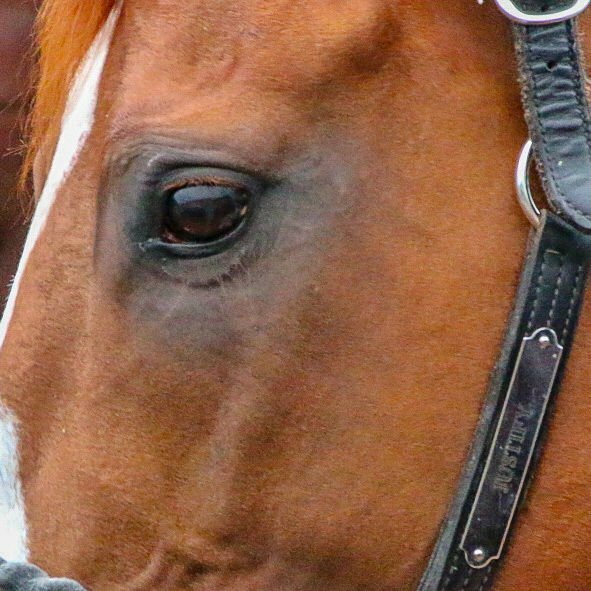 A close-up of Triple Crown winner Justify. Justify trains at Churchill Downs. Justify trains for the Kentucky Derby. Justify trains at Churchill Downs after winning the Preakness Stakes. Justify, framed by the Twin Spires at Churchill Downs, pauses before heading to the track for training. Justify returns from the track after winning the Preakness Stakes. Justify gets the blanket of Black-Eyed Susans after winning the Preakness Stakes. Justify trains for the last time before winning the Belmont Stakes. The morning after winning the Triple Crown, Justify walks with WinStar Farm president Elliot Walden. Justify enjoys attention from his grooms after training at Pimlico. Justify heads to the track in preparation for the Belmont Stakes. Justify entertains a crowd of reporters the morning after winning the Triple Crown. Triple Crown winner Justify draws the attention of his stablemates as he walks the shed row at Churchill Downs. Justify parades in the paddock at Churchill Downs after winning the Triple Crown, with trainer Bob Baffert and assistant trainer Jimmy Barnes. Images of Triple Crown winner Justify.